“Some wineries are really interesting and they’ve shown me that they can produce quality wines to a very high standard”, were the first impressions reported by Denis Rudenko, a specialist Russian journalist from The Daily Winegraph who was already on his second day of tasting and tour of the La Mancha Designation of Origin. Along with other sector professionals and importers he was taking part in the inverse Trade Mission organised by the Regulatory Board during the third week in September on La Mancha Designation of Origin soil. 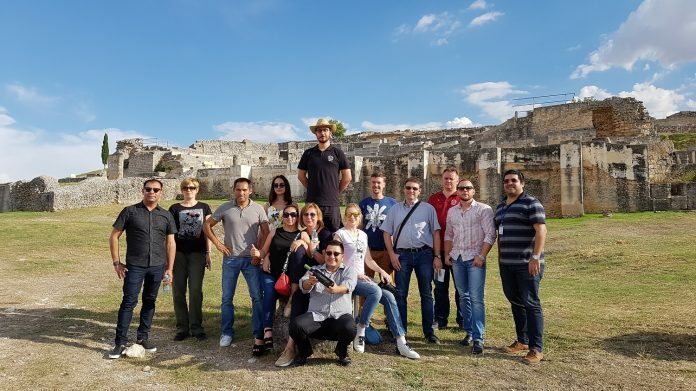 With an intense week of appointments from 17 to 20 September, importers from not only Russia but also from several Latin American markets with a substantial interest in future growth, like Mexico, Dominican Republic, Colombia and Peru, were all able to get a first-hand appreciation of La Mancha wine growing and La Mancha Designation of Origin wines. The visit was also planned to coincide with the grape harvesting season, enabling them to get an even better idea of the socio-economic importance and high regard for wine in La Mancha. 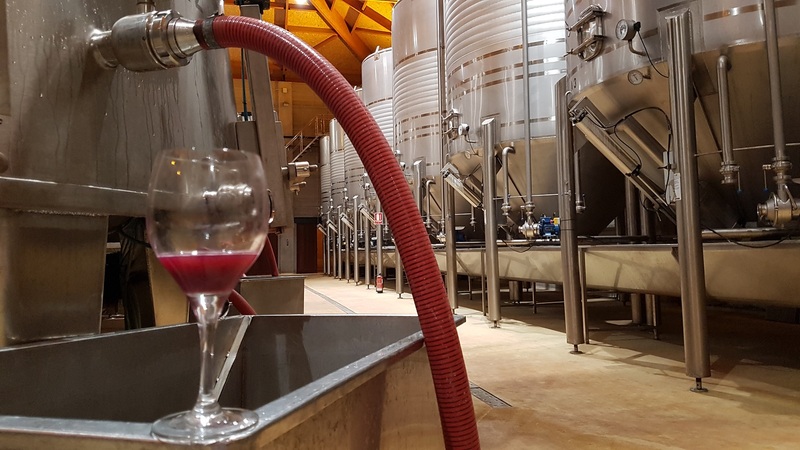 “We’ve seen the size of some of the wineries and they’re huge, but they’re clean and they make good wine”, remarked Ilya Kirilin, a journalist from Simple Wine News one of Russia’s most influential specialist media organisations. 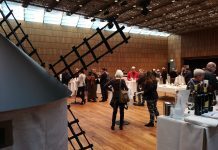 The event programme filled the tasting Show Room with the 27 La Mancha wineries taking part and also featured visits to specific wineries with significant wine tourism potential. In addition to this, visits were also organised to major heritage monuments and sites, including the windmills at Campo de Criptana, El Toboso, the Medrano cave in Argamasilla de Alba, the castles at Pilas Bonas, Manzanares, Belmonte, Ciudad Real and Cuenca (respectively) and the archaeological site of the Roman town of Segóbriga. 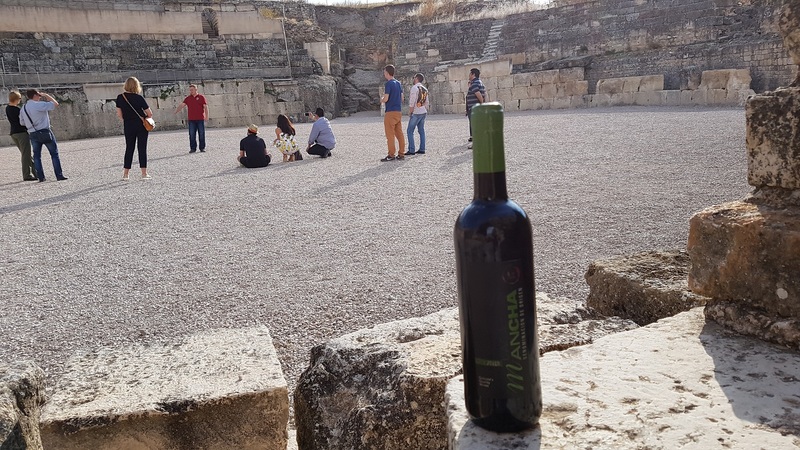 These visits gave inverse mission delegates a real appreciation of the historic and cultural roots of wine in La Mancha. 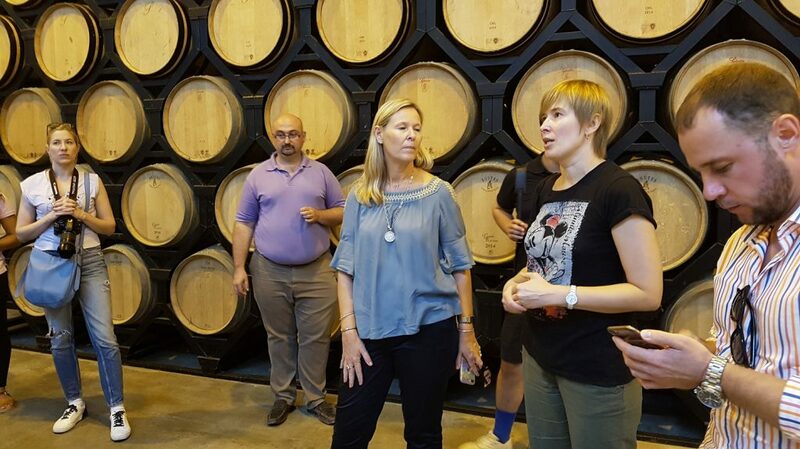 “The tour has allowed us to see places connected with Don Quixote that we’d never seen before and we enjoyed it very much”, explained Anna Svridenko, a sommelier from St Petersburg. With this promotional event, the Regulatory Board aims to strengthen the image of DO La Mancha wines in other markets of substantial interest beyond European Union borders. 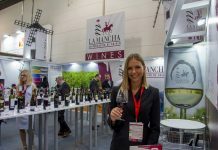 One such market is Russia, which in 2017 alone imported 2,823,955 bottles, making it the third largest importer country for La Mancha wines. This is in addition to the interest in markets in America, with potential for growth in emerging markets across the continent.